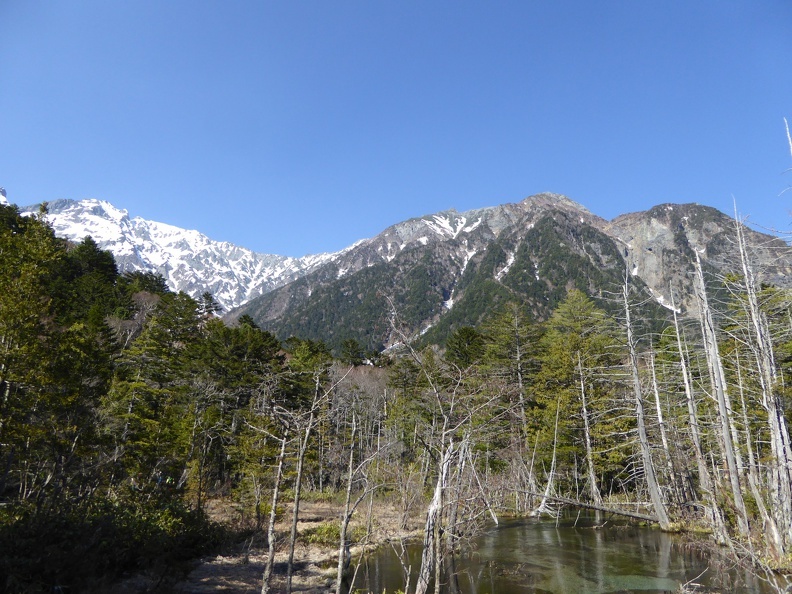 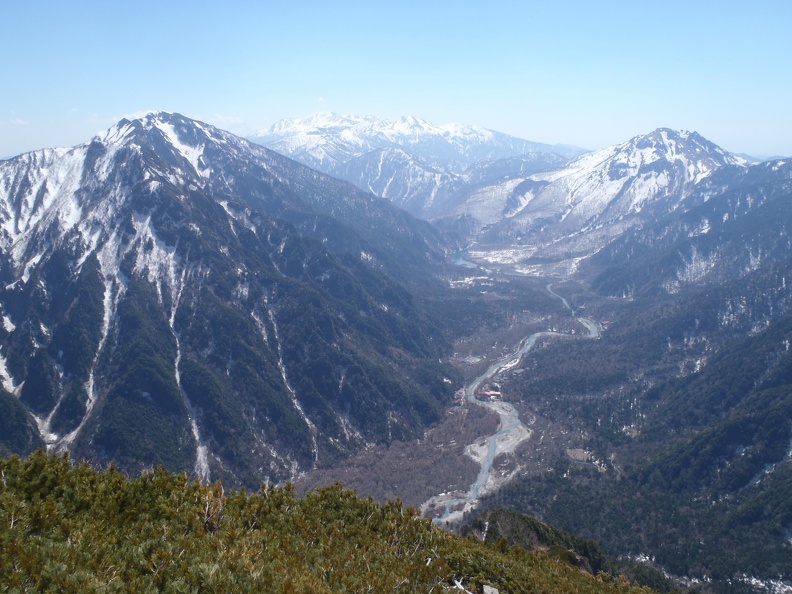 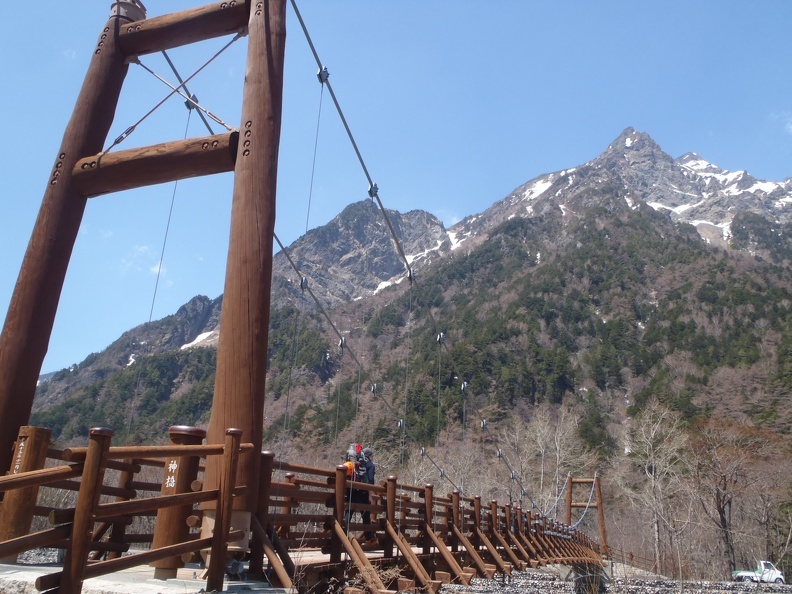 The E-ridge of Myojindake is easily reachable from the hut at Myojin-bridge, about 1h from the bus stop in Kamikochi. 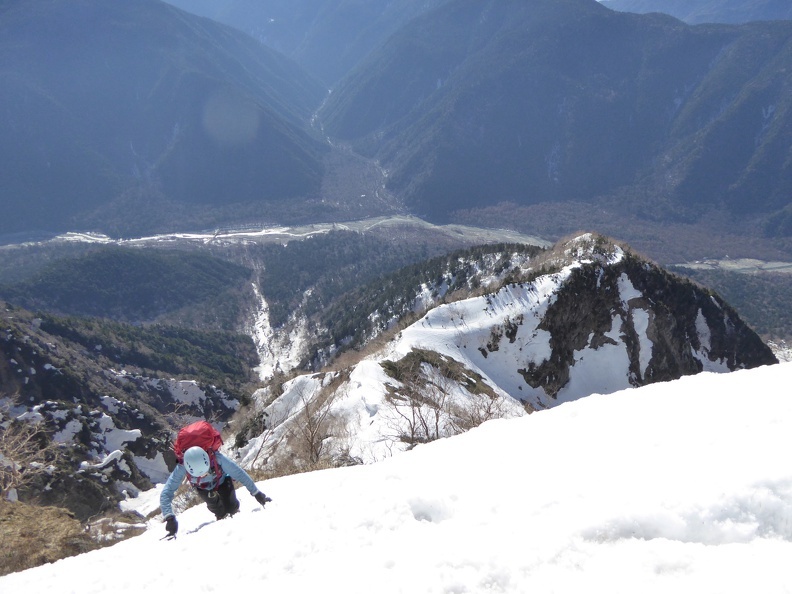 One needs to climb first about 400mH up the valley on the opposite side, and cross over to the next valley (do not continue to the end of the gulley like we did). 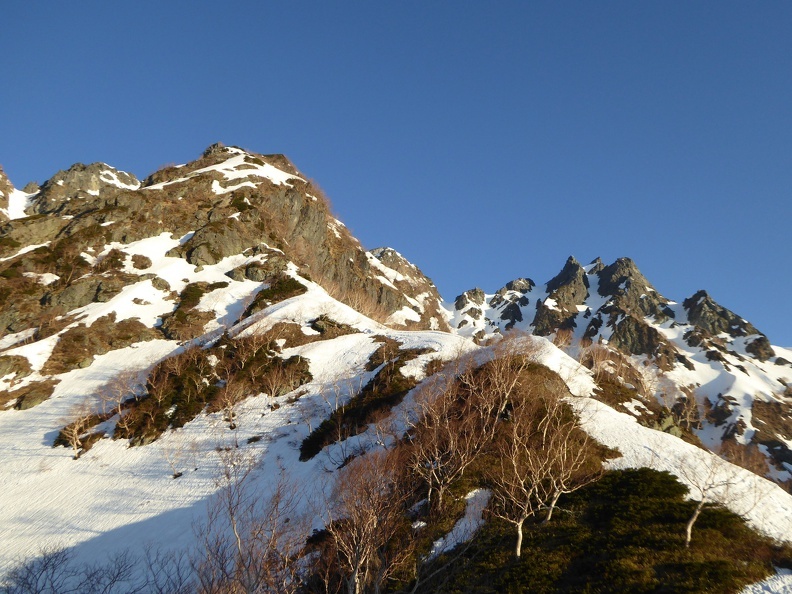 From there follow the ridge to the top. 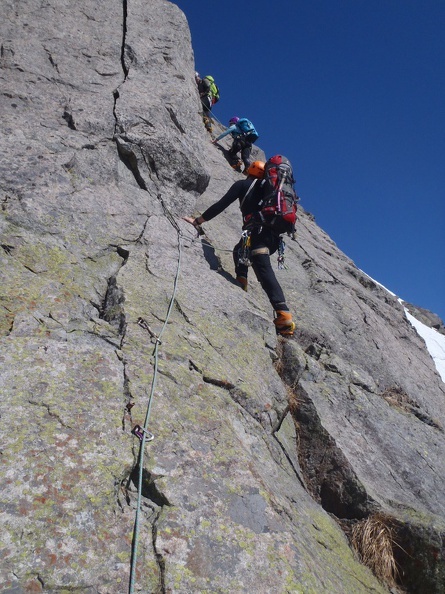 There are some easy rock or mixed climbing, depending on snow levels, and a rock passage (buttress) at the end. 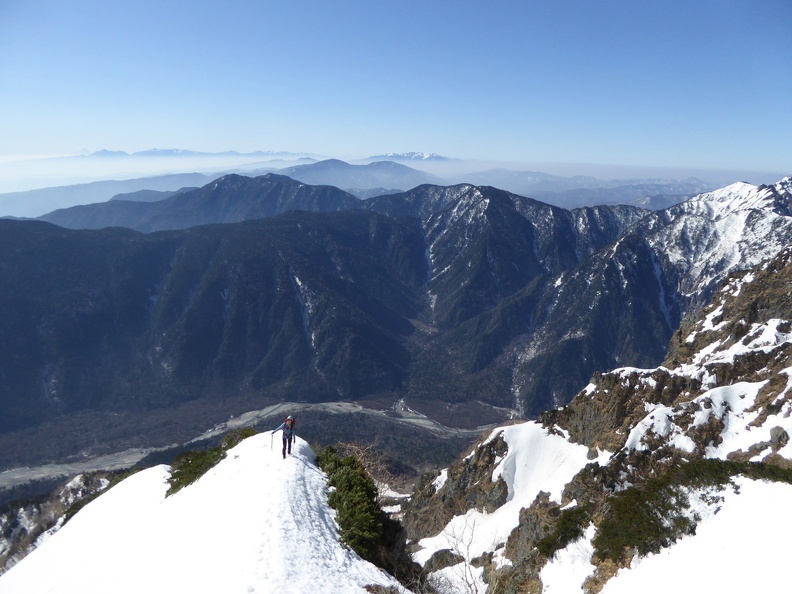 From the top one normally returns a bit direction Hotakadake, and climbs down in east direction. 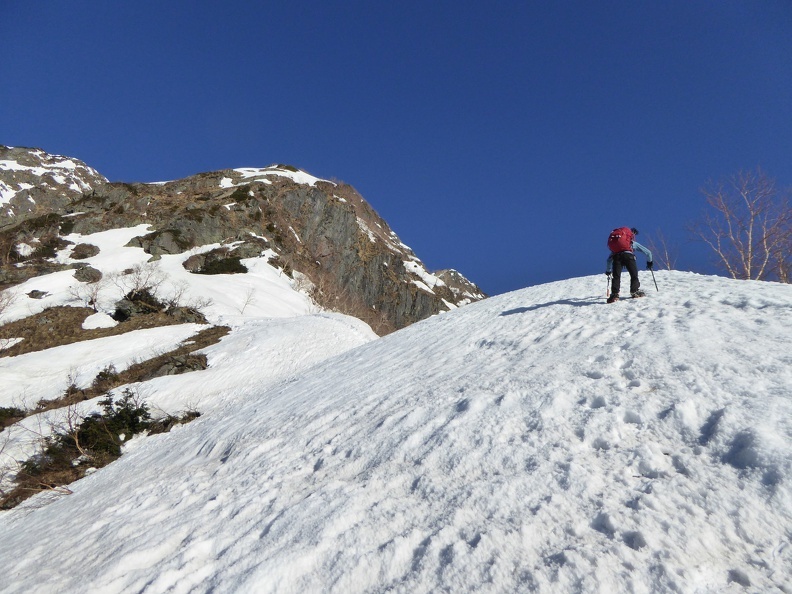 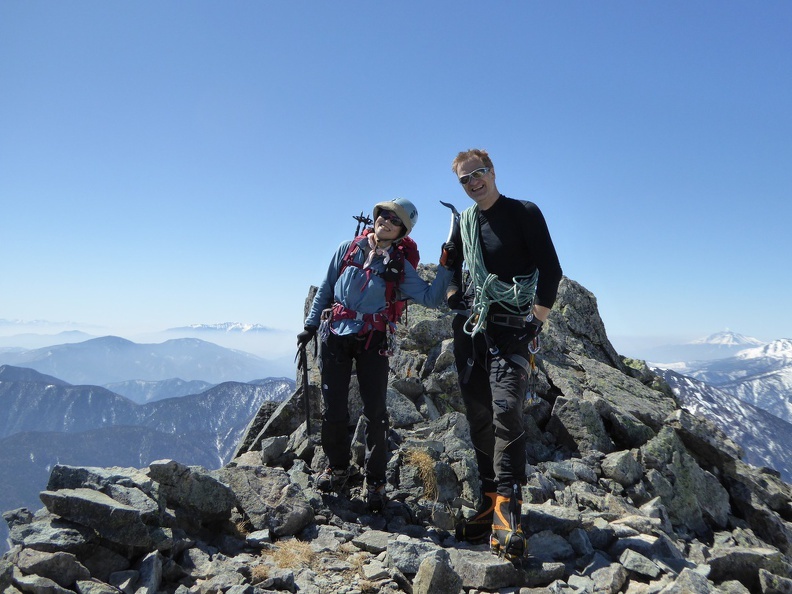 We continued into the other direction from the top and crossed the 4 gendarms – only the second one needs a bit of climbing) and then down the ridge and valley. 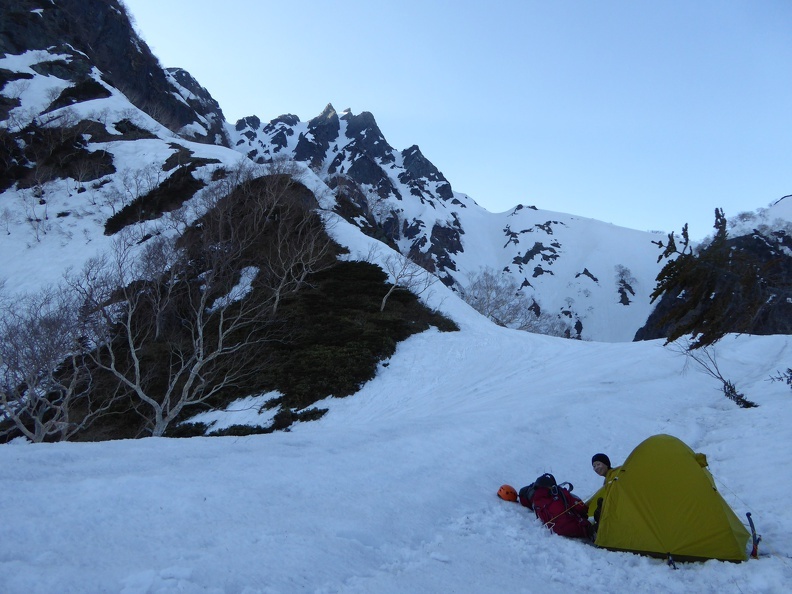 Most people do it from the hut in one day, but there is also a nice tent site right at the start of the climbing.